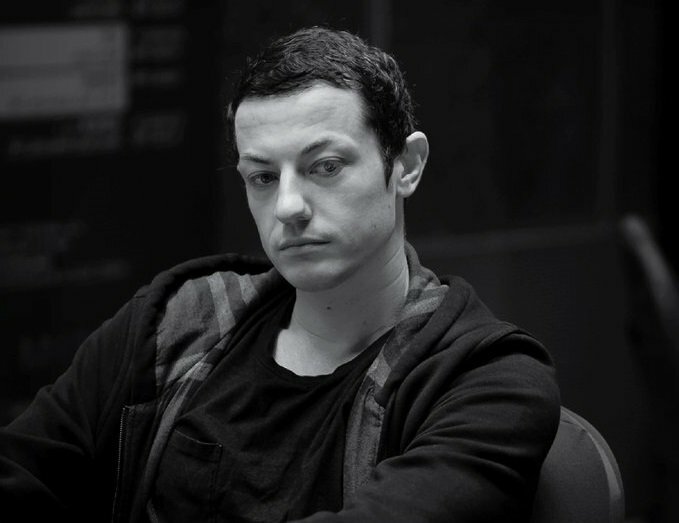 Born July 30, 1986 in Edison, New Jersey, Thomas (Tom) Dwan Jr. is best known for winning record pots at high stakes poker events. He goes by the name “durrrr” on Full Tilt. 2004: Began his career at age 17. 2007: Won his first million playing online poker. 2008: Played his first WSOP event in the U.S, finished 8th. 2009: Engaged in legendary online battles against Viktor “Isildur1” Blom and began partnership with Full Tilt. 2010: Created the US $1,000,000 Challenge. 2012: Rumored to be found playing High Stakes Cash Games in Macau. 2016: Returned to the poker scene with the Triton Super High Roller in Manila. 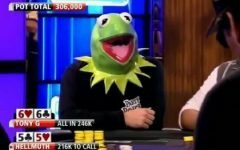 2017: Tom Dwan made a public return by taking part in the TV show Poker After Dark. Starting with a $50 bankroll his father gifted him for his 17th birthday, Dwan played mostly sit-and-go tournaments on Paradise Poker. At one point, he was down to $15, but then he switched to heads-up and multi cash games and began to build his bankroll back. Four months later, he had $15,000. Tom Dwan has a university background of an English major at Boston University, which he dropped out to play poker professionally. Although he deeply desired to compete in live tournaments after trouncing his friends in college, he couldn’t play tournaments in the US until he was 21, so he found himself playing a lot of foreign tournaments. When he was 19, Dwan won $12,000 when he came in 12th at the European Poker Tour’s €3,000 No Limit Texas Hold ’em Main Event. Nevertheless, Dwan strategies always had better results at online poker. Exceeding $2 million, The Hendon Mob reports that his lifetime tournament winnings total $2,913,934. 2005: Cashed in his first live tournament, finishing 12th in the European Poker Tour’s £3,000 no limit Texas Hold ’em Main Event, earning £7,000 ($12,398). 2008: Finished second at the Aussie Millions A$3,000 Pot Limit Omaha with Rebuys event, winning A$103,200 ($90,716). Finished 62nd in the A$10,000 No Limit Hold ’em Main Event for A$25,000 ($21,976). Finished 9th in the Five-Star World Poker Classic (the $25,500 WPT Championship), winning $184,670. 2014: Placed 6th at the Aussie Millions, $250,000 LK Boutique Challenge, winning $447,359. 2017: Tom Dwan lost the final in the Super High Roller event in Macau against Belarus player Mikita Badziakouski, taking a prize of $275,000. Dwan holds multiple records for the largest pot in the history of televised poker. He broke his previous world record of $919,000 on High Stakes Poker when he won a $1.1 million pot on Full Tilt Poker’s Million Dollar Cash Game. A few years after these reports, Daniel Cates said in an interview that he saw Tom Dwan losing a $20 million pot in a set-over-set situation. For several years, Dwan remained completely focused on live cash games, rarely surfacing in the public eye, but he did make a very public return in 2016, when he appeared at the third edition of the Triton Super High Roller in Manila. More recently, Dwan appeared on the TV show Poker After Dark in a $200/$400 game with a $400 button ante and $100,000 minimum buy-in. Not long after opening his account with Full Tilt Poker, Dwan won $200,000 in less than an hour after joining six different $100/$200 no-limit tables at the same time, and it didn’t take him long to start playing against the most established online poker players in the world, including Phil Ivey, Patrik Antonius, and Viktor Blom. During a session of $500/1000 No-Limit Hold’em on Full Tilt on October 26, 2008, Dwan gained recognition for playing the biggest pot in online poker: $723,938, which he lost with KK against Urindanger’s AA. His record has now been passed several times. The record for the largest pot in online poker is now $1,356,946. Dwan started the Durr $1,000,000 Challenge in January 2009. He’ll play anyone heads up for 50,000 hands 4-tabling 200/400 No-Limit or higher. After 50,000 hands, if his opponent leads, Dwan will give them $500,000 plus an additional $1,000,000, and if Dwan leads, he will keep their $500,000. After battling through a series of heads-up No Limit Holdem cash games against Blom (online handle, Isildur1) in November 2009, in which Blom went on one of the longest runs in the history of online poker and won approximately $5 million, Dwan challenged Blom to play him at the Full Tilt Poker Durrrr Million Dollar Challenge. Of course, since he plays such large stakes online, Dwan has suffered huge losses and enjoyed enormous wins, often winning or losing millions of dollars in mere days, or sometimes even hours. During this collaboration, Dwan was sponsored by Full Tilt Poker for the launch of Durrrr’s Million Dollar Challenge which was televised on Sky Sports. However, after the United States passed the Unlawful Internet Gambling Enforcement Act, Full Tilt had to close their doors to US customers. In May 2015, Tom Dwan was present at the Poker King Club grand opening alongside Phil Ivey, another sign of its ties in Macau. The ‘Durrrr Challenge’ with Daniel ‘jungleman’ Cates. in 2010, Tom Dwan was at its peak confidence and he offered 3:1 odds to anyone who could beat him heads-up over a 50,000 hand span. if Cates lost, he would have to give Dwan $500,000. If he won, Dwan would have to pay him $1.5 million. After playing around 20,000 hands online, Cates was clearly ahead with an impressive profit of $1.3 million. But the challenge came to a sudden halt in the spring of 2011 with Black Friday. In November 2012, Full Tilt reopened and Cates was eager to finish the challenge and boost his bankroll with $1.5 million. However, Dwan wasn’t into playing online poker anymore probably because the live games were much more soft and rewarding, and even though he agreed according to Cates to pay $40,000 for every two months without progress in the challenge ‘jungleman’ threatened to reveal certain aspects of Dwan’s private life and the poker community sided with him. Tom Dwan member of the Triad? In the summer of 2014, Paul Phua, linked with the notorious 14K Triad – one of the largest international criminal organizations in the world with an estimated 25,000 members – and his son Darren, along with Richard Yong and his son Wai Kin, all friends of Dwan, were arrested in Las Vegas. According to several reports, ‘durrrr’ helped the Phuas cause and paid alongside Phil Ivey and Andrew Robl the $2.5 million bail. He also helped one of Phua’s friends with a place to stay during the trial. Of course those links fired many rumors, such as Tom Dwan being broke / bankrupt, having had huge game debts and being the triad’s slave, or being involved with drugs… A hashtag #savetom was even used across social media. In a video of march of 2017, Tom Dwan was accused by youtuber Doug Polk of scam. According to the videoblogger, Tom Dwan is likely the person that sports bettor and poker enthusiast Haralabos Voulgaris mentioned on Joe Ingram’s podcast back in 2015. In this interview, Voulgaris declared that a former NVG superhero (News, Views, and Gossip forum on 2+2) owed him “seven figures” in sports bet earnings. In 2010 during an online chat, Dwan responded to rumors that he’s gay, saying, “this is all b/c my old roomie (dave benefield) wanted to play a joke, but no, not true”. He started dating Erica Marie (b. January 31, 1983) in 2012. The couple most likely met when she lived in Edison, NJ around 2010. Although their relationship was made public when a photo of the couple in front of the Sydney Opera House was posted on Twitter during Dwan’s attendance at the Aussie Million of Melbourne 2011, they’ve remained a fairly private couple. Little is known about Erica Marie, whose Twitter account has been inactive since 2014. Due to their discretion, the status of their relationship today is unknown, but several sources have reported that they live together in Vegas. In late 2017, Tom Dwan got engaged to Bianca Rosso and is rumored to soon become a father, and a husband, answering the questions of what happened to him. On a tweet he posted on January 27th, he spoke about Bianca Rosso in the terms of “soon to be wife.” That is incidently the name the young woman chose for her Instagram account : “durrrrswife“. 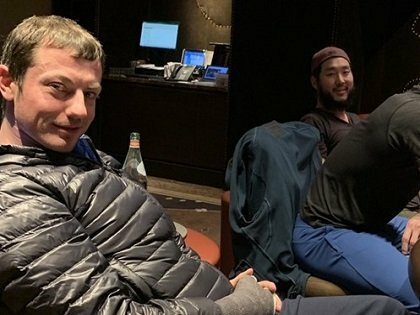 Tom Dwan has participated in Paul Phua’s poker school by producing videos in which he discusses beginners’ trapping, bluffing, betting, being overly aggressive, Chinese players, and various international tendencies. According to celebritynetworth.net, Dwan is worth $10 million, while profitingatpoker.com reports his net worth at $8 million. Dwan’s personal life has remained mostly a secret, as he’s an intentionally private celebrity. However, he does seem to have an interest in politics, at least based on his tweets, which mostly concern news of Trump and his administration, wikileaks, Russia, international relations, and other contemporary political issues.